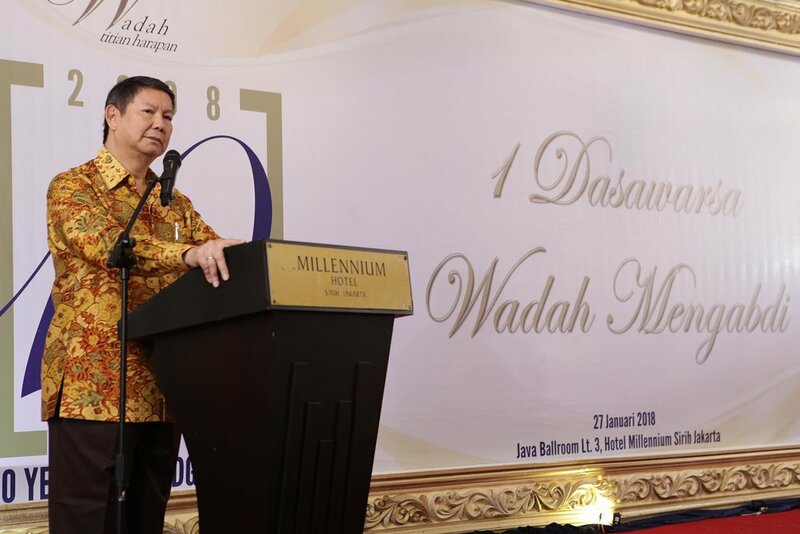 Yayasan Wadah Titian Harapan (Wadah) celebrated its 10th anniversary or “A Decade of Service to Humanity” on January 27, 2018 at the Hotel Millenium Sirih Jakarta. This simple, but "special" anniversary celebration was attended by Wadah’s "warriors" or volunteers from Wadah communities from various parts of Indonesia. Also present were the Wadah Foundation staff, long-time supporters and friends of Wadah, as well as the Ambassadors and representatives of the Philippines, Myanmar and Lebanon. 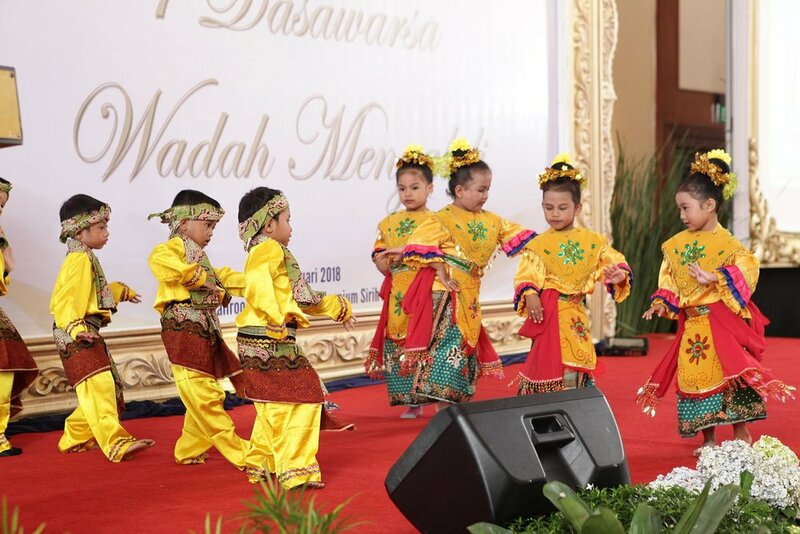 As usual, the event was enlivened with dance and rampak gendang (traditional drums) group performances by the children from PKM Wadah Cibodas, Lembang, West Java which were truly dynamic and moving. 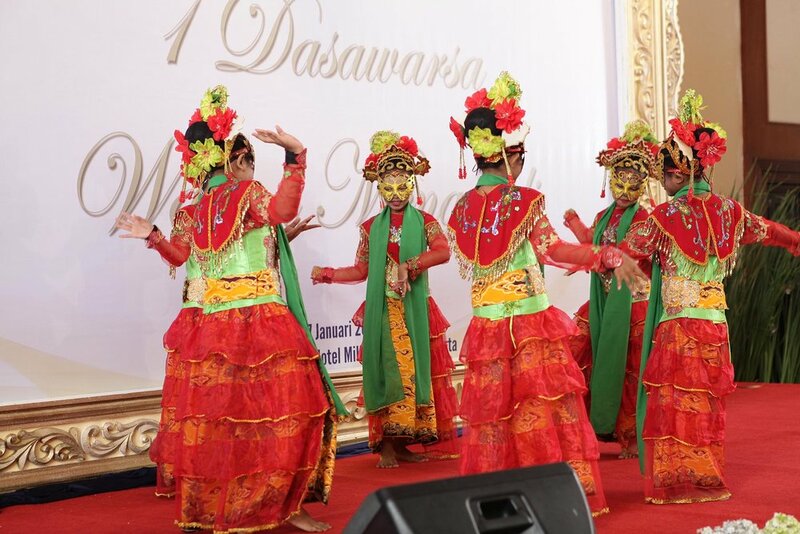 The Anniversary celebration also showcased a photo exhibition of the activities of the Wadah communities from four regions in Indonesia, namely - Region I: DKI Jakarta, West Java and Banten; Region II: DIY, Central Java and East Java; Region III: Bali, NTB and NTT; Region IV: Maluku, North Maluku and Papua. 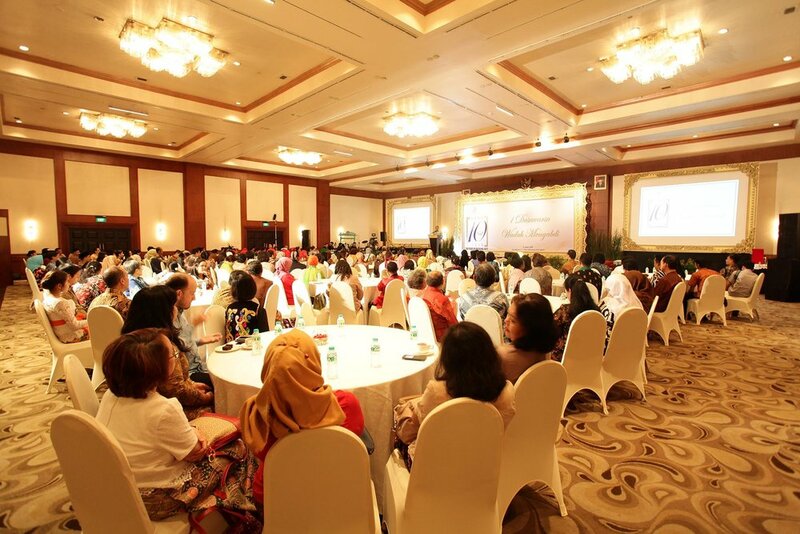 The One-Decade Anniversary was special as Mrs. Anie Hashim Djojohadikusumo, the Founder and Chairperson of Yayasan Wadah Titian Harapan, intentionally intended for the event to serve as a recognition with the highest appreciation for the warriors of Wadah, for their dedication and loyalty in serving the marginalized society together with Wadah for a decade. In fact, some of them have rendered their services to the community long before Wadah was formally established on January 25, 2008. 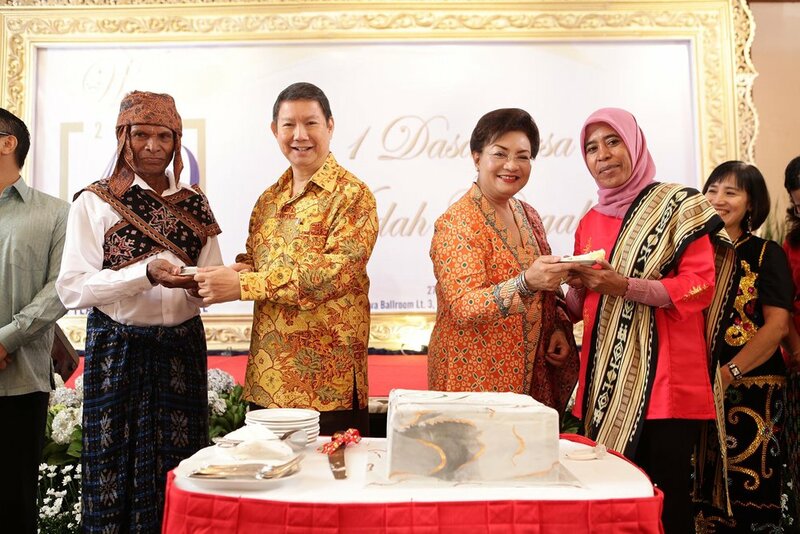 For that, Mrs. Anie, on behalf of Wadah Foundation, presented the Plaque of Appreciation to several individuals who have contributed significantly for the past 10 years – Mrs. Janti Notowidigdo, Mrs. Dewi Djarot, Kiky Samal, Hasan Azhary, Adi Hermawan, Ricardo Hutahaean, Sophan Ajie, Kiswanti and Mr. Hashim Djojohadikusumo.